Bauang Local Government Unit (LGU) conducted a series of the Integrated Planning and Management System (IPMS) seminar workshop in different dates and venues. These centered on reviewing the LGU’s strategic objectives and initiatives. 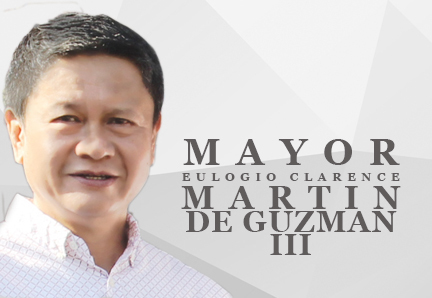 With Mayor Eulogio Clarence Martin P. de Guzman III’s legacy Towards Bauang 2030 which is Sulong Bauang, Trabahong Gwapo Iaalay Sa’yo (TGIS), he said that the IPMS will be for the good of the whole LGU and Bauangeños. He told the participants to be serious and to make use of all the information and skills they learn from the IPMS. 19 departments and line agencies of the LGU presented their own strategic objectives and initiatives: Governance, Achievement, Unity, God Loving, Education ( GAUGE).With unity as the center of these umbrellas, these departments will work as one big family to achieve these goals. IPMS is a series of seminar workshops conducted in a staggard basis at different schedules. This is to upgrade the different department heads of their skills and knowledge in preparation for LGU’s International Organization for Standardization (ISO). The first schedule was held last November, followed by another seminar last January at DSWD conference hall and the third last March at Marand Hotel and SPA. With him as the program sponsor, Municipal Planning and Development Office, Administration Office headed by Rainier Calica and Vincent Rimorin, head of Municipal Accountant Office as program champions, the different committees composed by all local department heads, selected national heads of offices and Civil Society Organizations were all in attendance. Daisy Arellano Sayangda, former Mayor of Santol, La Union, President of Sangbay DS Concepts and LCM Consultant was the keynote facilitator. Her lectures consisted of processes needed for the PPMS, facilitating the crafting of Bauang’s scorecard and strategic plan, the implemented guidelines and procedures, providing executive coaching. The system’s purpose is to come out with an integrated planning and management system built on the balanced scorecard. This process include the program launch, assessment, strategy and strategic objectives, strategy map, performance measures, strategic initiatives, performance analysis, alignment and evaluation. The program is a six month project which covered only the first phase of the 12 month project. During the first workshop, department heads came out with the SWOT (strengths, weakness, opportunities, and threats) of the LGU. From it, Core values of God-loving, achieving, good governance and education were developed. Strategic themes that were developed in the IPMS included organizational excellence, a globally competitive city and a leader in human resource management, environmental excellence, economic competitiveness, social growth and community development. 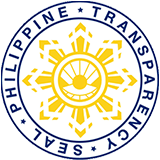 Customers and other stakeholders are the grape growers association, Bauang Tourism Council and fisher folk’s association/cooperatives and secondary customers. Bauang’s vision is to be the vineyard city of the North by 2030: a safe, secured, clean and green haven of God loving, healthy and functionally literate Bauangenos led by highly effective and competent leaders. Organizational excellence starts on sustaining sound financial management, maintaining competent and motivated human resource, granting rewards and recognition, upgrading information and communication technology, establishing and strengthening systems and procedures to be a globally competitive LGU. Each department has its own strategic theme members. TGIS Roadmap towards Bauang 2030 includes financial, learning and growth, internal processes and the community. The final product of the IPMS will be presented to the Mayor on April as his legacy to the upcoming new mayor of Bauang.